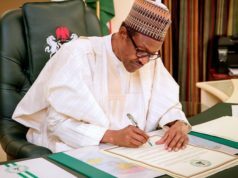 President Muhammadu Buhari has reaffirmed his commitment to ensuring that the 2019 polls, under his watch, are free, fair and credible. 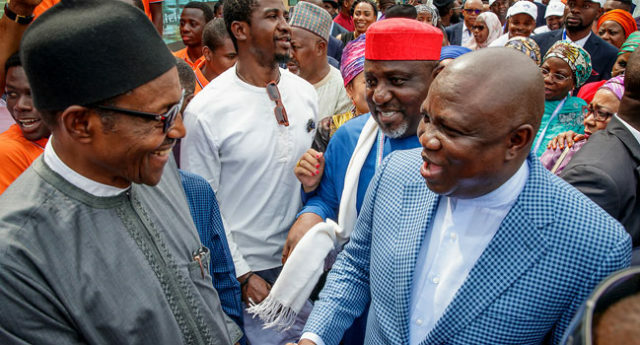 While addressing a gathering of Nigerians on Sunday in Beijing, the President said that as a beneficiary of free and fair elections, he is not afraid of a credible process in 2019. He also stated that Nigerians eligible to vote in the general elections will be allowed to freely elect candidates of their choice. ‘‘I have no fear about free and fair elections because that is what brought me to the present position. I know what I went through and very few Nigerians could boast of trying four times [contesting for the presidency. 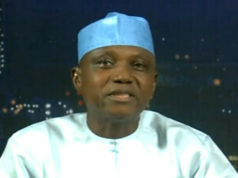 ‘‘The Nigerian police, law enforcement agencies and INEC must respect the people to express their wishes,’’ he was quoted as saying in a statement by his Senior Special Assistant on Media and Publicity, Garba Shehu. Citing recent elections in Bauchi, Katsina and Kogi States, the President said the country had made progress compared to elections conducted in the past years. On security issues, he stated that his government has succeeded in curtailing Boko Haram insurgents in the country, adding that the terrorist group no longer controls any part of the country. He attributed the success to operations of security agencies deployed to counter-insurgency in the North-eastern part of the country. Speaking about the Nigeria-China relations, the President applauded China’s generosity and contribution to the development of Nigeria, citing the successful completion of the Abuja-Kaduna railway line, built by the Chinese, and ongoing works on Lagos, Ibadan, Ilorin, Abuja, Kano railway routes. President Buhari also addressed the issue of migration for “greener pastures”. He advised Nigerians planning to travel abroad for ‘‘greener pastures’’ to do so legitimately and not to expect too much from their countries of destination. ‘‘You cannot seek greener pastures in a place where you are not respected because of the colour of your skin or your lack of education or other things. Personally, I think you will earn more respect when you remain at home and get a job,’’ he said.